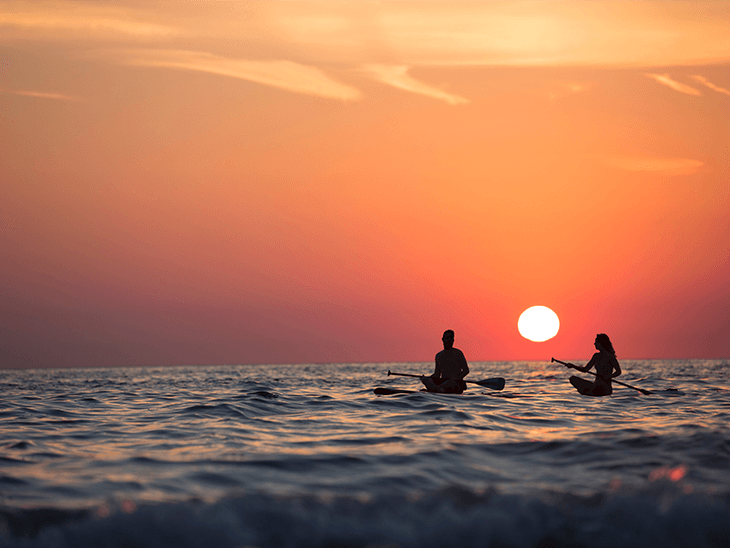 Paddleboarding is a great way to experience any destination and more and more commonly used for recreation and exploration. As the names suggest, the first difference is clear. Inflatable paddle board must be inflated using a pump while a solid paddle board is rigid. Most of the people especially the paddling newcomers need to know the difference between the two so that they can easily decide which to purchase to suit their needs. You don’t have to guess which paddle board will suit you. You should make an informed purchase decision based on the available facts! The following factors will help in explaining the differences between these two paddle boards. Inflatable paddle boards are easy to carry around since once they are deflated, they can roll up to small sizes which can even be carried using a bag. You don’t need a large car to transport this kind of paddle board. Another advantage of inflatable paddleboards is that you can avoid airline surfboard fees while flying. This would be contrary in case of a solid paddle board. When transporting solid paddle boards, there is a need for a large car with racks. Solid paddle boards are heavy and therefore they are tedious to carry around. Inflatable paddle board literally takes small space as compared to a solid paddle board. An inflatable can be stored anywhere in the house and is ideal if you have a space problem. A solid paddleboard requires a lot of space and therefore you need to clear your garage or a special space to store it. While traveling, inflatable paddle boards can be easily stored in the boot of a small car while a solid paddleboard requires that the truck has a paddle rack to hold the board. Solid paddle boards are more brittle and vulnerable to damage as compared to their inflatable counterparts. Inflatables rarely scratch or ding but the solid ones are prone to accidental cracking. Careless people could do well with inflatable ones since they are almost carefree boards. While paddling rocky rivers or whitewater, inflatable boards would be the best choice since they are more durable and resistant to damage. Solid paddle boards can also be durable but you will have to be extra careful! This is the only instance that solid paddle boards beat inflatables hands-down. If you need optimal performance, the solid paddle boards should be your best friend. They have better glide, agiler and catches waves easily during surfing. 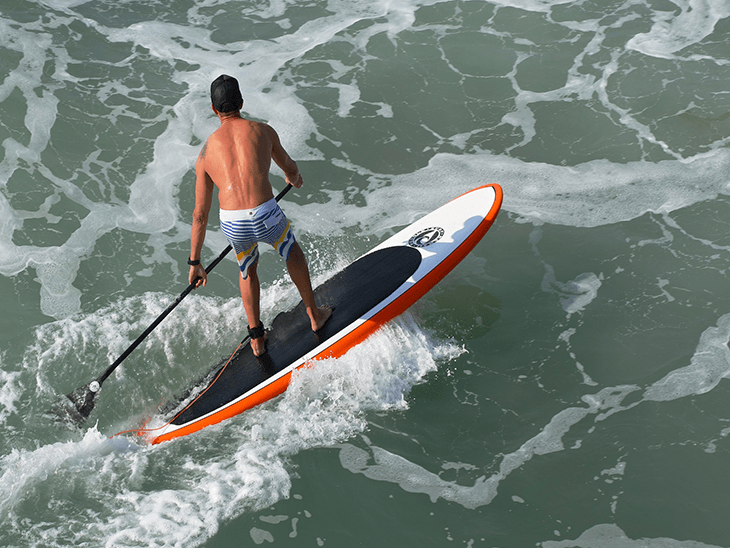 Solid paddle boards are ideal for SUP surfing, long distance expeditions, and SUP racing. If you need speed during surfing, then you ought to choose a solid paddling board! The performance of an inflatable paddle board cannot be ruled out too. They perform best in rocky rivers and whitewater since they are more resistant to damage and stable at such circumstances. If you have concerns for your wallet, you should know that inflatables are cheaper as compared to the solid paddle boards. Inflatables are therefore affordable and are ideal for first-time users and family. Furthermore, inflatables are also cheaper to maintain as they are more durable as opposed to solid paddling boards which are prone to cracking and scratching. Inflatable and solid paddling boards have different uses. Inflatables are mainly used for family and pet paddling while solid paddle boards are mainly used in extreme sports like surfing because of their optimal speed performance. Inflatables attain more balance quickly hence can be used in yoga by anyone. 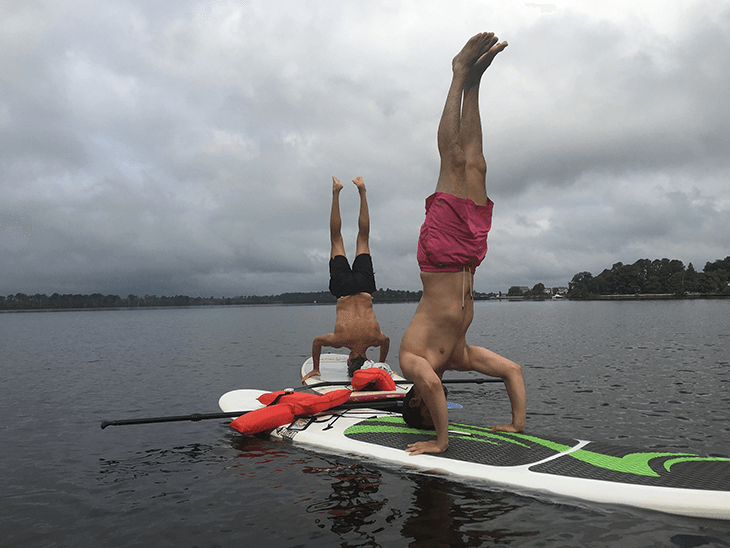 If you want to do yoga on a solid paddle board, you better be a pro! When it comes to convenience, solid paddle boards take the upper hand. Inflatable paddle boards are hard to inflate once you have deflated them for ease of storage. You will need to pump and this takes time and energy! You will only need to pick your solid paddleboard from the store the way you left it and you are good to go! As technology improves, the SUP paddles are also improved. The recent boards are more convenient than the ones before. The best SUP boards of 2018 are way better than those that were considered best in the past years! 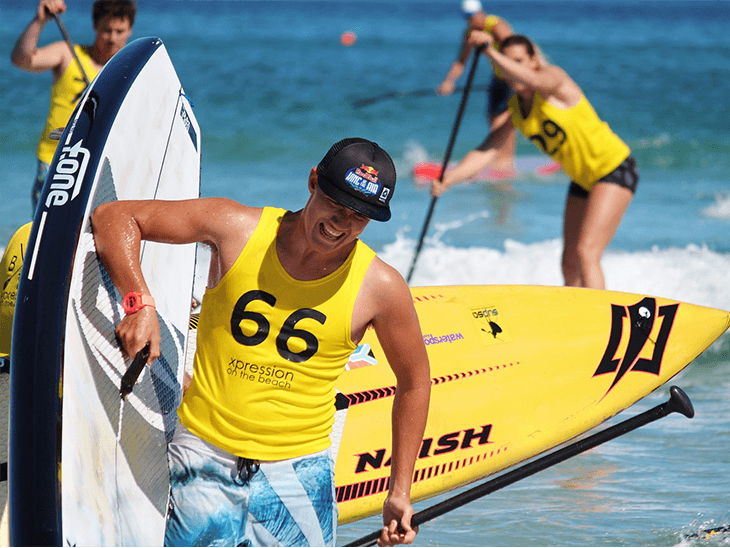 The above differences are significant when it comes to deciding what type of SUP board that is appropriate to suit your needs. By observing them, you will get value for your money as well as satisfaction from your paddle board. Other factors like the material used to make them can also work in differentiating the two but they are somehow insignificant. Who said that the two types of boards are mutually exclusive, you can purchase both of them and try out. Maybe you will enjoy each under different circumstances! When out and about on the water, please do not forget the life vest! I have tips on What You Need to Look For In A Personal Flotation Device. Please share your paddle board experiences in the comments below, on Twitter, Facebook , Instagram or Google+. I am very much looking forward to hear from you!